Which side are you on? That's one question I was asked when Lewin Terrace invited us for a preview their Oh! 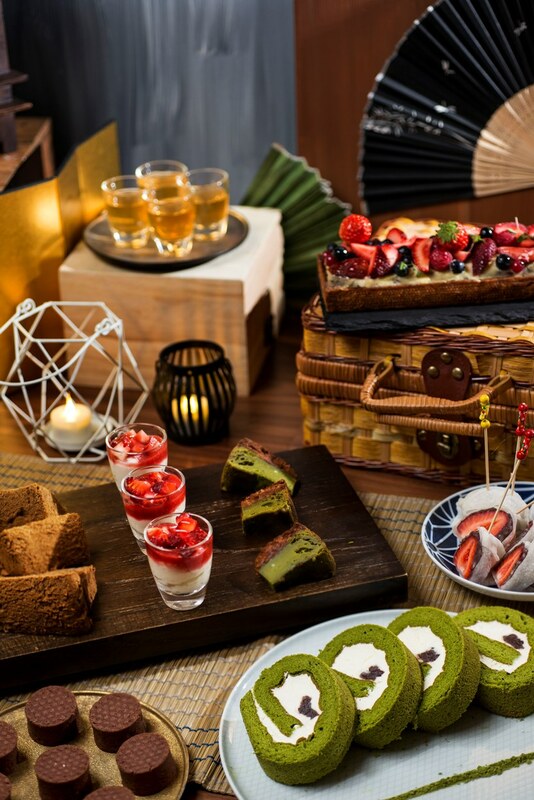 Matcha Season of Ichigo Afternoon Delight Dessert Buffet, which is available from 9 January – 29 March 2019. But, is picking a side truly necessary? Let's do both. To complete the Afternoon Delight Dessert Buffet experience, Lewin Terrace has teamed up with stylist Med Kärlek Inc. for a visually exciting experience and delectable desserts, with the entire dessert setup presentation coming across as an art installation in itself. Known for cultivating the region’s, if not the world’s most premium grade of tea leaves, Japanese Matcha leaves from Uji have a distinct, full-bodied flavor and are high in anti-oxidants. Yes, the dessert series combines the best of Japan’s staples with Uji Matcha and Chitose Ichigo. Visitors can now enjoy Japanese sweet treats made from home-grown brand Matchaya’s Matcha powders - Sencha Jelly, Matcha Pudding, Matcha Pudding, Ichigo Chiffon and Baked Matcha Cheese Tart, amidst a lush background setting of greenery, as the restaurant is nestled at the edge of Fort Canning Park. The spread of classic French pastries offered include Mixed Berry Tart, Ichigo Clafoutis, Mixed Berries Mille Feuille, Ichigo Macaron, Matcha and Ichigo Madeleines. All diners are treated to an exclusive box of hand- made treats which features the Ichigo Daifuku and Charocal Matcha Roll Cake. I enjoyed the Ichigo Daifuku very much as I'm a fan of the mochi dessert. A serving of Ichigo and Matcha Ice Cream will also be served to all guests upon order. Guests can also enjoy the natural sweetness of fresh Chitose strawberries by dipping them in the accompanied toppings of condensed milk, Matcha cream, syrup and powder. Apart from the dessert buffet spread, enjoy Oh! Matcha Season of Ichigo in a 3-course lunch menu ($58++) that comes with an appetizer and main, or 4-course ($88++) with two mains of fish and meat options.